Senator Sonni Ogbuoji, the Ebonyi State APC gubernatorial hopeful has replied allegation by Governor David Umahi that the Independent National Electoral Commission, INEC, has printed 200,000 ballots for Ogbuoji ahead of the election as cheap politics. 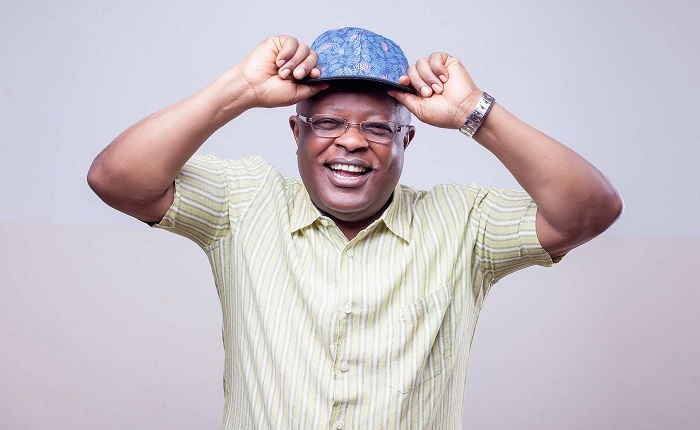 Ogbuoji said the allegation contained in a statement from his strategy team is sign that Umahi who has been living in deception that he has no challenger for the guber seat has woken to the reality that he has lost grip of the race. “I can only deduce that the baseless allegation by Umahi is sign he possibly as his custom is, has been making moves to bribe the INEC, which we have been aware of. His failure to buy over the agency that has a resolve do their job of conducting the elections fairly is what prompted the blackmail on the INEC. But I still tell him that the calumny at INEC or me won’t still do the magic. ‘I challenge Umahi to name names. He should not just deceive anybody with the vacuous allegation of a ‘certain senator from the north.’ That is vague, and the Umahi I know would not hesitate to mention the name of the senator he refers to if it were real. ‘I would only advice Umahi and his spin doctors like the Igwe who spoke for him as the Director of Strategy of his campaign that the all know no strategy. If they did, they would have ahead of time advised Umahi to at least pretend to be kind to the workers of the state and not short pay them in the January salary that he slashed as before, every reasonable person in political contest at acts like he is nice and friendly, but for Umahi to continue with his resolve to keep reducing the workers to slaves and shortchanges them even when he is campaigning for their votes, shows they are bereft of strategy. Let me give Umahi a tip as someone more experienced than him in politics,. The strategy that works is not vain accusations on the INEC, the security system or myself. It is about getting the masses that vote that works best, and unfortunately, it is too late for Umahi to learn lefthandedness at old age. He didn’t come to power with any drop of the milk of kindness and can’t get one now at the twilight of his tenure. ‘The rigging I plan and which works is getting the consent of the workers he has enslaved for four years to freely vote me by making them know their slavery will end when I am in power, and good enough, they make about 40 percent of the voters, they are enlightened and can’t be easily deceived. The test of what I say is the volume of the crowd that welcomes me at every LGA at my campaign rallies which Umahi can’t boast of with all his arm-twisting. Before Umahi gets away with this allegation, he should be frank to tell Nigerians including INEC that he has recruited 720 political thugs his political double dealer ally from Anambra State helped him to train, that will be dressed in police, Civil Defence and army uniforms on the election days to kill, intimidate and hijack the elections and declare him winner. I hope he admits this and stops throwing wool over anybody’s eyes. Umahi should also tell the world that he has been coercing workers to submit their PVCs to him to be used on election days. He also has been buying PVCs using his agents, including Igwe, his strategy director, and been sending buses to take students of the Akanu Ibiam Polytechnics to Uburu, his hometown to thumbprint ballots and he pays each of them N1000. Igwe should know we are aware of the meetings of their hired killers that hold around Nnodo Secondary School, Abakaliki periodically for their rehearsal. We will expose them at the right time. ‘I advise him to condition his mind to accept the loss he faces in three weeks’ time because medicines never wake up the dead.